HelpHound Blog: Reviews: How far behind can you afford to fall? ...the difference? Nothing discernible - except the one on the left has been a client of ours since then (and, apparently, keeps longer hours!). The latest review from one of the four categoiries of reviews - buyer/seller/landllord/tenant - on a single branch. Just how reassuring do you think a review like this is for someone considering using this business? 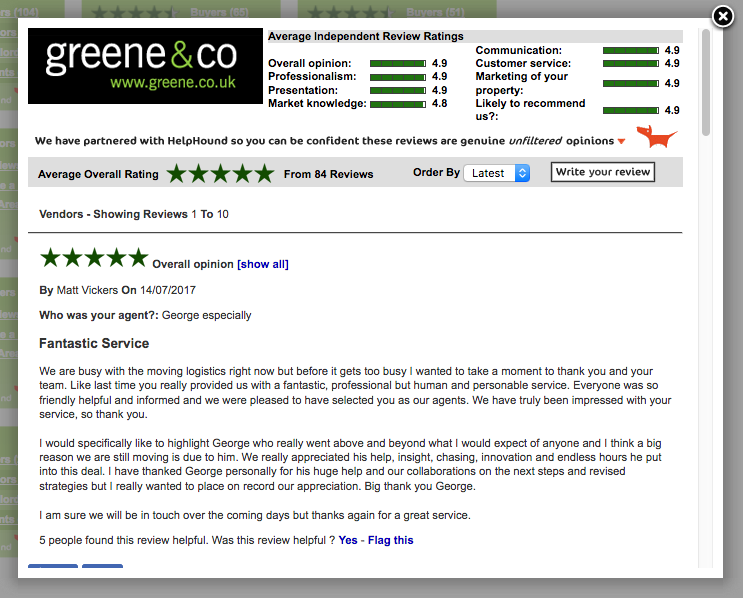 office morale is boosted - even estate agents enjoy reading just how good a job they have done! What made Greene & Co join*? In a single word? Trust. 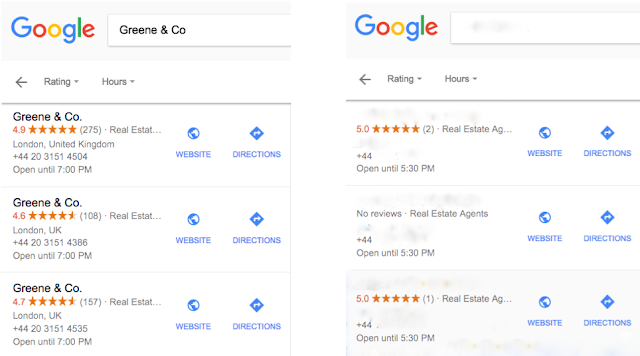 They trusted us with their reputation, and they trusted us to give them the best advice and follow that up with a professional service. And the ensuing results have proved us both right.